+ Gown | KELINI – Poema Dress (Blue) – NEW!! 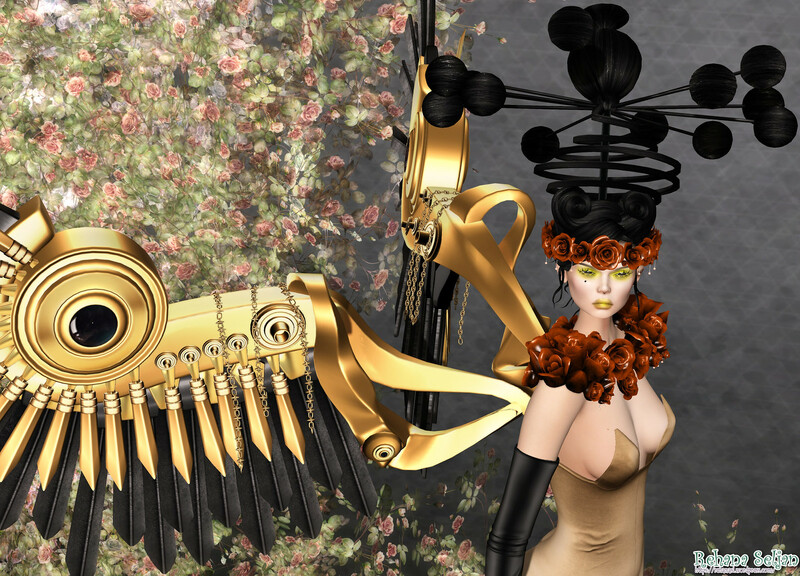 + Crown | Bauhaus Movement – Macy Headpiece @The Seasons Story (31st Jan) – NEW!! + Shoe | Apple May Designs – Blossome Heels (Pink / for Lara) @The Crossroads – NEW!! + Hair | tram – F1215 hair (HUD-A) @The Crossroads (28th Jan) – NEW!! + Make | Zibska – Rheta Eye Makeup (for LeLutka) @Cosmetic Fair (Start 15th Jan) – NEW!! 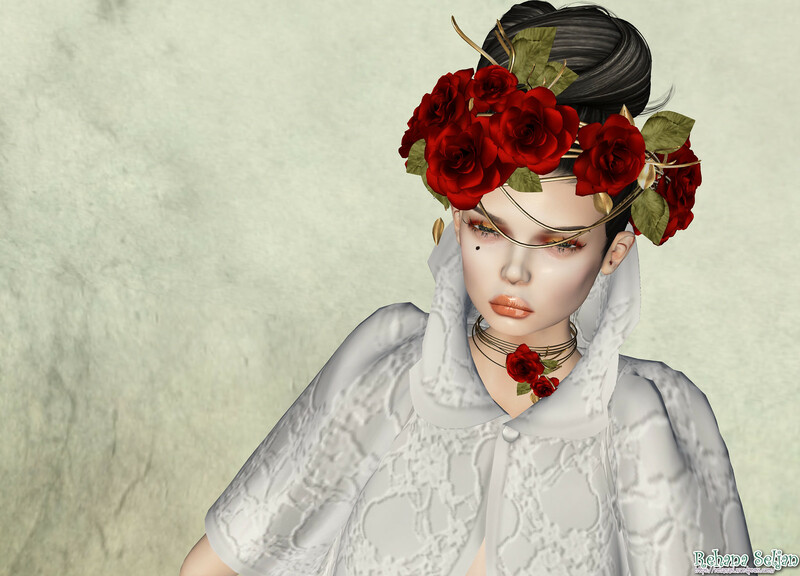 + Lips | Zibska – Vlane Lips (for LeLutka) @Cosmetic Fair (Start 15th Jan) – NEW!! + Pose | PosESioN – Elegant Doll – NEW!! Cara dress is new release from AZUL. This dress have 12 colors, Corl, Emerald, Garnet, Gold, Moganite, Onyx, Pearl, Peridot, Ruby, Sapphire, Topaz, Turquoise. Its have 5 standard size included. + Dress | AZUL – Cara (Gold) – NEW! !